Case Study: Exploring Possibilities for GoPrint2 through Dillner’s Accounting Tools, Inc.
Case Study: Exploring Possibilities for GoPrint2 through Dillner's Accounting Tools, Inc.
GoPrint2 is a product mainly used by graphics and printing companies to simplify the process of uploading and transferring files between print service providers and their customers. There appears to be an adjunct market in accounting firms that have an interest in PDF drivers for use within accounting software tools. GoPrint2 is a web-based solution designed and developed for the Graphic Arts industry by Racad Tech, Inc. It is a simple web-to-print solution that gives print service providers the necessary tools that enables their customers to send files, regardless of the size, quickly and easily in a print-ready format. 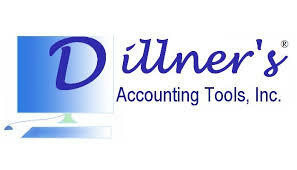 Dillner’s Accounting Tools, Inc. is a technology company based in Westminster, Maryland that provides software and support to accounting and professional business firms for their multi-client processing in order to increase productivity. Their products, all of which are designed by accountants for accountants, include client write-up software, payroll software, accounts receivable software, virtual office websites for accountants, and software for clients of accounting and professional business services firms. Customers (accounting firms) can upload payroll information which Dillner uses to create paychecks. Customers can upload files to take on the road. Customers can use the portal to send emails and reminders to their clients. Customers can receive prospects from the Dillner website. Customers can log in as client. Larger accounting firms with a minimum of 60 employees use the portal as a communication tool among the staff. It serves as a communication tool between the office (accounting firm) and their clients. Using Dillner’s software, the user at the accounting firm creates a PDF file of the financial report. The user saves the file, opens the browser, and logs in to Dillner’s portal. The user selects ‘upload to client’ and chooses the client whom the file will be sent to. The user uploads the file and an editable auto-generated email appears. After the email is finalized, it is sent to the inbox of the client. The email contains both a link to the file in Dillner’s portal and a PDF version of the file. Both require a password to be accessed. Dillner’s system didn’t allow their clients to print from any other software to Dillner’s portals. To remedy this problem, George Dillner searched for print drivers on Google and came across Racad Tech’s GoPrint2. Dillner initiated contact with Racad Tech and developed an interest in GoPrint2 because it could be customized for his system. It was exactly what he was looking for. GoPrint2 filled the gap and helped Dillner retain portal customers by expanding the capability of his software and the features his company offers. The user generates a financial report using the existing software such as Quickbooks , etc. The user selects ‘print to Dillner’s office’ and sends the file to Dillner’s portal. The file is converted into PDF by Racad’s GoPrint2. A dialogue box appears that gives the option of saving the file onto Dillner’s portal, Secure Client to Dillner’s Client Tools. After the email is finalized, it will be sent to the inbox of the client. The email contains both a link to the file in Dillner’s portal and a PDF version of the file. Both require a password to be accessed. GoPrint2 was completely customized for Dillner’s system. A print driver was installed to Dillner’s computer that automatically makes a PDF file then opens a browser that is pointed to Dillner’s client portals. GoPrint2 works between a user’s computer and Dillner’s web server. The primary users of GoPrint2 are the staff members – such as bookkeepers and accountants – of Dillner’s customers who are all accounting firms. Adjusting to the use of GoPrint2 was very easy. Users were pleased with it. Minor adjustments to GoPrint2 were made as updated versions of Windows were released. The decision to incorporate GoPrint2 into terminal servers was due to the growing number of Dillner’s customers who are moving towards the use of cloud servers which require terminal server functionalities. Although the terminal server version of GoPrint2 was only recently released, there is already a substantial customer base that have expressed their interest and excitement in its applications. GoPrint2 has improved Dillner’s business by increasing its competitiveness. Dillner expects growth in the use of both the original and terminal server version of GoPrint2. He anticipates that the future will bring a larger growth in the terminal server version because of the eventual shift of the market into the use of cloud servers. Dillner is satisfied with Racad Tech’s service. He feels all his requirements have been fulfilled. He would recommend Racad Tech to any company similar to his that has the same needs. Dillner would also like exposure to other accounting firms while highlighting his company’s ability to print to client portals from any software. GoPrint2 has become an integral part of Dillner’s business. Its functionalities expand the reach and offerings of his portal, Secure Client to Dillner’s Client Tools. Because of this, Dillner has more aggressively marketed his services to accounting firms that already have existing software (such as Quickbooks, etc.). A growing number of his customers are using GoPrint2’s functionalities which serve as an add-on feature. GoPrint2 was well-integrated into Dillner’s system by Racad Tech because it was customized to fit. Its users – mainly bookkeepers, accountants, and other staff members of accounting firms – easily adjusted to it. It is mainly used to send tax returns and financial statements to clients of the accounting firms. Accounting firms will inevitably shift to using cloud servers, which require terminal servers. The terminal servers version of GoPrint2 will have a larger demand in the future as a result. This version will be actively promoted in the coming quarter. Dillner is a satisfied customer who is willing to endorse Racad Tech to similar technology companies. He would like more accounting firms to know of his services including the ability to print to client portals from any software because of GoPrint2.